Spin to win Oil Mania Slots with FREE spins and more! 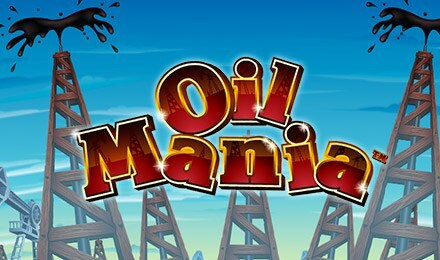 Oil Mania Slots features FREE spins and an RTP of 95.66%! It’s a guaranteed good time online, so login and spin today – you won’t regret it! Win big and have the best time online when you play Oil Mania Slots! The reels feature fancy cars and money chests, plus the Oil Tycoon himself. When he appears on the 2nd, 3rd or 4th reels, you’ll get 3 FREE spins! Plus, the Wild Oil will gush upwards for even more wins. The Upwild Feature can be reactivated, there are 25 paylines and 95.66% RTP! Good luck!